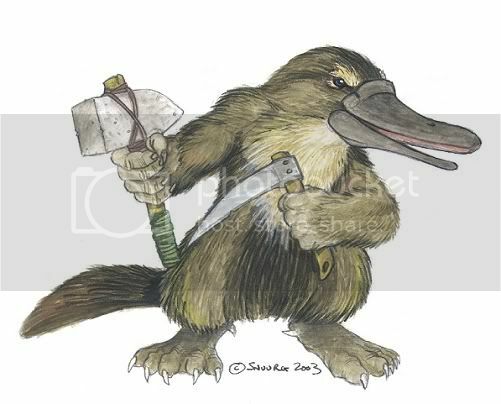 A fanclub for the awesome Wielder of the Banhammer and Platypick. Jenn is second in command and in charge of the club when I'm not here. Rule 1: Do NOT objectify Morgaln. It is extremely impolite to objectify people unless they vocalize a desire to be objectified. And such objectification does not go along with a pg13 rating or the spirit of the club. Any members caught breaking this rule will be warned, and if it continues, they will be taken off the member list and asked to refrain from posting here. 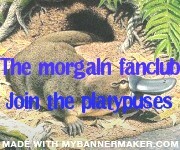 If they still post here I'll leave it to Morgaln and his war platypi and hyrax strike force. How would you best describe Morgaln? Last edited by LittleFireCat on January 3rd, 2013, 11:39:42 pm, edited 188 times in total. Location: We are all brothers under the skin, and I for one would be willing to skin humanity to prove it. I remember checking my eggs' clicks one time... and being sooooo excited when I saw that Morgaln had clicked! It was such a fangirl moment. My occasional posts mean nothing in regards to my activity. Actually, neither do any creatures. I like old Christmas critters and equines. And anything new that I haven't gotten. Which is a lot. lolwut. 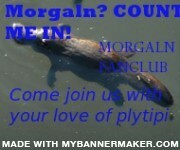 I wanna join, Morgaln is fun! @TNHawke- Why does he scare you? Welcome to the club, Katyakun!